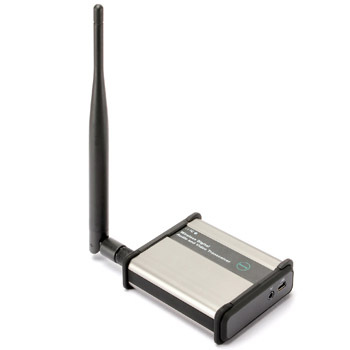 2.4 GHz Audio/Video Sender with IR Remote Control Extender Supplier - CIU Co., Ltd.
CTX-03 2.4GHz Long Distance Digital Wireless Transmitter Receiver adopts wireless radio frequency technology to transmit audio and video signals. 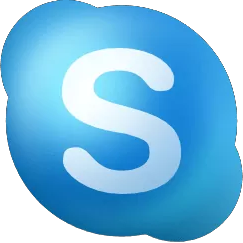 This is fully digitalized and has strong anti-interference capability, using digital encryption technology. CTX-03 2.4Ghz digital transceiver has two versions, one support IR remote control (CTX-03-IR); another one has RS-485 port (CTX-03-RS). 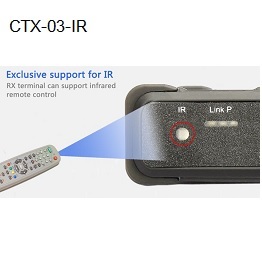 The CTX-03-IR 2.4 GHz digital wireless audio/video transmitter receiver kit with IR remote control extender offers user a long distance to wirelessly control CATV box, DVD/DVR player or others home/office devices. 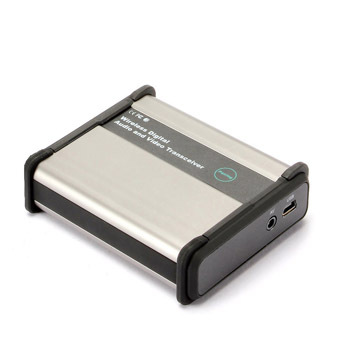 Our strong anti-interference 2.4 GHz digital Audio Video Sender can transmit data from location of your A/V source equipment through walls, floors, across the hallway or from the basement to the TV upstairs. Using the CTX-03-IR for sharing audio video signal in different rooms for family entertainment. No extra wires to deal with and no more construction for cable installation. 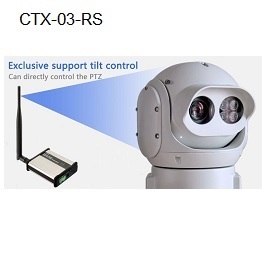 CTX-03-RS 2.4GHz Long Distance Digital Wireless Transmitter with RS-485 port can control PTZ camera (pan-tilt-zoom camera) works like a wireless PTZ transmitter kit. The 2.4GHz Digital Wireless Audio Video and RS485 Data Transmitter Set allows you turn any analog PTZ camera in to a wireless PTZ camera.